Ian William Wark was born on 8 May 1899 at Spottiswood (now Spotswood), a Melbourne surburb. His father William John Wark (1868-1925) had been a student at Glasgow Technical College and had won an engineering scholarship to the University of Glasgow, but migration to Australia in 1884 with his widowed mother and younger brother had intervened. On arrival in Australia William was employed in a firm of agricultural implement makers, Hugh Lennon & Co, before leaving to become a sub-agent for a life insurance company. This venture continued throughout his life with varied success; it led to the family living for short periods in Spottiswood, Hobart, South Melbourne, Sydney, Deepdene and Middle Park, and to the need to supplement the income to provide the necessities of life at a reasonable level. Ian Wark’s mother Florence Emily (nÃ©e Palmer) lived to 93 years of age. A major residential scholarship to Ormond College and exhibitions acquired at the final public examinations allowed him to live at Ormond College for the four years that he was studying at the University of Melbourne. On advice from various quarters, Wark entered first-year engineering, even though he felt that science was more to his taste. Fortunately, a medical problem that turned out to be transient rather than permanent prompted the family doctor to propose a change to science. Competing interests in mathematics, chemistry and physics proved more difficult to resolve. The professors in each of these departments were distinguished scholars and Wark was obtaining outstanding results in each subject. After a little indecision the influence of Orme Masson, the professor of chemistry of the day, won through, although JH Michell expressed his disappointment that a career in mathematics had been passed up. Wark was almost financially independent throughout his university career by winning exhibitions in many subjects. It is an interesting commentary on the period that the better students, who did not have the financial backing of affluent families, cold-bloodedly planned courses to maximise the financial return from exhibitions. In his first year he had to settle for shared exhibitions with Frank Macfarlane Burnet, later to become Nobel Laureate in medicine and President of the Australian Academy of Science. A good scholarship at the end of the third year (1919) allowed Wark to proceed to a fourth (MSc) year and to his first research topic. Masson, who many years earlier had studied several complex salts described as ‘cupritartrates’, suggested a research topic in this field, which Wark and J Packer (later professor of chemistry in Christchurch, NZ) pursued jointly. The successful completion of the Master’s degree at the end of 1920 really marked the completion of the formal training available for a career in science in Australia, since there was no PhD degree in Australian universities at that time. Wark had been outstandingly successful, although he had taken more than a passing interest in sporting activities – athletics, tennis, billiards – and in the countryside, in art, music, and literature. To someone of lesser capabilities these would have constituted distractions from the prosecution of a proper development of intellectual talents, but this did not turn out to be the case. Throughout his life Wark was almost insensitive to his surroundings when occupied with something, whether it be a scientific or administrative problem, writing, or lining up a golf shot. His powers of concentration allowed him to make more efficient use of his time and talents than most of us. ACD (later Sir David) Rivett then senior lecturer in the Chemistry Department at the University of Melbourne recommended Wark, on completion of his MSc, for a position in Electrolytic Zinc Company of Australasia Ltd’s South Melbourne laboratory. There he worked on a research project on the roasting of zinc blende. Not long after taking up these duties Orme Masson suggested that Wark apply for an Exhibition of 1851 Science Research Scholarship. The application was successful and Gepp released Wark without impediment. Wark, on Masson’s advice, elected to take his 1851 Exhibition Scholarship at University College London, and to undertake research in the infant field of mass spectrography under the distinguished physical chemist FG Donnan. Essential equipment for this research, to be provided by the firm Brunner, Mond and Co, failed to materialise during Wark’s two-year stay at University College so, as an extension of his MSc research, he made initially a study of copper malic acid complexes as a stop-gap and finally a study of a series of copper hydroxy-acid complexes as the total research project. In former days, rather more so than now, the overseas research scholarship was the privilege of the very few outstanding students. The experience not only provided a perspective for Australian science (and one’s own efforts) in the world scene, but gave the fortunate recipient a breadth of interest and understanding of world activity and affairs that had a dramatic influence on his future. This was certainly so in Wark’s case. He travelled in Europe, took an active role in college sport and society activities, attended meetings of relevant learned societies, developed his cultural interests, took courses in physiology, German and eugenics, and spent some weeks in WH Bragg’s X-ray laboratory as part of the broader educational process. The 1851 Exhibition Commissioners granted Wark an extension of his scholarship for a third year, which he spent at Berkeley, California. There his work with A Olsen on ionisation potentials of gases did not lead to publishable results, but he made the most of his close association with thermodynamics and low-temperature studies in Lewis’s department and of his visits to other parts of the USA during vacations. On his return to Australia during 1924, Wark’s preparation for a career in the scientific field was complete. He was confronted with a choice between a position in an established chemical consultant’s firm in Melbourne and a lectureship in the Chemistry Department of the University of Sydney. He chose the latter, probably because he saw his future in an academic environment. In those days the inorganic and physical side of the Sydney chemistry department boasted little by way of research activity, except for GJ Burrows who was working in the coordination chemistry field. Wark and Burrows collaborated in work on the salicylic acid complexes of aluminium. After a year in this position it was with some relief that Wark accepted an offer from Electrolytic Zinc Company of Australasia Ltd (EZ Co) to engage in full-time research on its behalf in Melbourne, particularly as his father’s death during 1925 had created some new family responsibilities for him as the elder son. Wark’s return to Melbourne really marks the start of his significant scientific and professional career. His association with EZ Co and later with a group of mining companies gave him the opportunity to tackle several major technical problems in industry in an academic environment and in a reasonably long-term scientific manner without the pressures inherent in close associations with the production plant, which inevitably leads to an ad hoc approach rather than proper research investigation. It also gave him an insight into and led to a life-long interest in the mining, metallurgical and mineral industries. Coincidentally, it alerted Wark to the major role that personal relationships and jealousies can play in the conduct of professional and business activities. In fact, the three years spent with the EZ Co (1926-29) were an invaluable introduction to the real industrial world. Although the work on the physical and chemical principles underlying the electrodeposition of zinc was important to the company and was of a highly original nature, company policy precluded publication and it was not until 1964 that the company allowed publication of one aspect of the work. In 1929, Wark switched over to mineral flotation research under the general direction of H Hey (Chief metallurgist with the EZ Co) but supported financially by a consortium of mining companies, namely, Zinc Corporation Ltd, Broken Hill South Ltd, North Broken Hill Ltd, Mount Lyell Mining and Railway Co Ltd, Burma Corporation Ltd and Electrolytic Zinc Co of Australia Ltd. The mining companies of Broken Hill had pioneered the use of flotation (particularly differential flotation) processes in ore-dressing and had accumulated much practical experience without a great deal of scientific understanding of why or how the process worked. It was to their credit – or perhaps to Hey’s persuasive powers – that they were prepared to support, albeit at a very low-level, fundamental research into the scientific principles underlying the flotation process. The companies continued support of this work until 1939, when Wark joined CSIR to establish research activity in chemistry for the benefit of Australian industry. On his appointment to CSIR, Wark’s personal research career virtually ended; the research in this field was continued in the Physical Chemistry Section of the new CSIR Division of Industrial Chemistry under KL Sutherland, who had been Wark’s research assistant from the beginning of 1937. Wark’s international scientific reputation rests exclusively on the research in mineral flotation and surface chemistry conducted during the period 1929-39. That this work was immediately successful and so consistently productive was quite remarkable; Wark had only one research assistant provided by the mining companies (AB Cox 1929-36 and then KL Sutherland 1937-39) together with help from his wife. The accommodation, which served as office and laboratory, was simply appalling; in these days it would have been condemned on health, safety and many other grounds. No present-day researcher would have considered accepting a job that required operating alone in such a laboratory, yet three people used it as office, laboratory and store-room for more than 10 years. Wark’s research in the field of metallic hydroxy-acid complexes was extraordinarily painstaking, meticulous and in the pattern of much of the chemical research of the day into the nature of complex molecules and ions. The work added careful information on the properties of these particular hydroxy-acid complexes to the store of chemical knowledge, but it did not resolve the original question of the structure of the complex cupri-Î±-hydroxy-acid ion. It was a well-executed academic chemical study, but the conclusion that the bases of the complexes were 5-membered rings, while certainly correct, could not be established unequivocally at that time, even though the existence of complex anions of this class in the monobasic monohydroxy acids, mandelic and salicylic, left little alternative to this structure. The main purpose of this research program, was to try to obtain a better understanding of the physics and chemistry of the electrodeposition process without involvement in actual plant trials. Cobalt, derived from the Broken Hill ore and always a minor constituent of the Risdon circuit liquors, was known to have a deleterious effect on the current efficiency of the zinc deposition process; the understanding of the way in which cobalt affected the electrolytic process was a major goal of the research. As a starting point, Wark made a careful investigation of the electrolysis of extremely pure zinc sulfate solutions. Plant practice had established that current efficiency (percentage of total current used in depositing zinc metal) decreased with time from the start of electrodeposition and that the addition of glue to the electrolyte greatly decreased the deterioration with time. However, in pure solutions Wark found that the current efficiency was constant with respect to time, current density and temperature and that glue and other colloidal solutions were unnecessary. He also made one important observation, that the current efficiency was determined by the ratio of the molar concentrations of Zn2+ and H+. The formalised expression of this relationship was discovered during 1926-29, published in 1964, and is now referred to as Wark’s Rule. The next step was to study the effects of small concentrations of added cobalt sulfate on the current efficiency. A series of experiments studying the effects of temperature, acidity, current density and glue addition at various cobalt concentrations showed that Wark’s Rule applied at the start of the electrolysis. However, as time passed the current efficiency fell dramatically, although the effect was counteracted to some extent by higher current densities and higher rates of addition of glue to the electrolyte. The deterioration in current efficiency, that is, reduction in the electrodeposition of zinc, was considered by Wark to originate in the lower hydrogen overvoltage of the cobalt deposited with the zinc on the cathode than that of zinc itself. This results in a local couple, zinc is dissolved, exposing more cobalt and re-solution of the zinc proceeds autocatalytically. Wark demonstrated that all the results on the time dependence of the current efficiency fitted excellently the mathematical expression of this autocatalytic reaction. The concentration of ore by flotation had been achieved commercially in Australia in 1904 and by differential flotation in 1912. By 1927, there was a wealth of experience of the process among Australian metallurgists and mining engineers, but little understanding of the scientific basis for its successful operation. Overseas, particularly in American institutions, there had been a substantial amount of investigation, but experimental studies were plagued by irreproducibility and many theories of flotation existed. 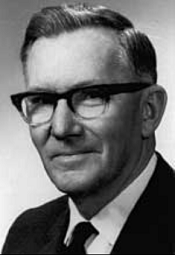 Although Wark’s period of active personal research in this field was ten years only, he influenced the subsequent research significantly. Details of this research are provided in the 1987 biographical memoir written by Lloyd Rees available by following the link in the Sources below. Not only did he remove uncertainties in the experimental results through devising and establishing impeccable techniques, he stimulated overseas investigators to pursue new research lines through his experimental results and his interpretation of them. Moreover, he established a major school of flotation research that has continued through its various offshoots to have a major impact on the development of the subject up to the present. The Wark Symposium on the Principles of Mineral Flotation held in his honour in 1983 provides ample testimony to his influence over 50 years of scientific investigation. Wark maintained an active interest in flotation research until his death. He reviewed the outstanding problems of contact angle, adhesion and flotation in several publications and contributed some original concepts on the origin of hysteresis of contact angles in a paper in 1977. At the time of his death he was involved in a joint study aimed at the experimental confirmation of a thermodynamic hypothesis. Indeed, I have heard several European experts state that his work is regarded as classical and of fundamental importance, both scientifically and practically. Wark’s personal scientific reputation rests exclusively on his publications on mineral flotation. From the very outset his contributions demanded attention and prompted further research. His first two papers on the subject established a degree of order in a very confused field and provided methods through which reproducible results could be achieved. He certainly added new data and understanding to the progress of the subject and initiated new lines of attack, not by brilliant creative steps, but rather by impeccable experimental technique, meticulous attention to detail in operation and interpretation and by exploring exhaustively the consequences of change of every conceivable variable for the system. His approach was always logical, systematic, precise and exhaustive. Ian Wark’s principal contribution to science and Australia was his creation and development of the CSIR/CSIRO Division of Industrial Chemistry. In 1937, the threat of war stimulated consideration of the need for CSIR to conduct research for secondary industry. A committee of the Commonwealth Government recommended the formation of a national standards laboratory, an information service, an aeronautical research laboratory and a chemical research laboratory. The first three were soon commenced, but it took the threat of imminent war to goad the CSIR to advertise for a Chief for a Division of Secondary Industry. Rivett virtually offered the job to Wark, but the CSIR Chairman, Sir George Julius, a down-to-earth engineer, began to propose compromise arrangements on the grounds of Wark’s lack of experience outside a small research laboratory. Rivett finally won this battle but RG Casey, then the responsible Minister, postponed the establishment of the new Division. Rivett bided his time; after war had started he got approval to appoint Wark as Senior Chemist at £1 000 p.a. rather than Chief at £1 500 p.a. Together with EJ Drake, who had been assigned as his assistant, Wark prepared a case for the establishment of a Division of Industrial Chemistry; this secured approval from Rivett and ultimately from the Minister, by now HE Holt, who obtained Cabinet authorisation for its formation early in 1940. Rivett provided unqualified support for the projected development of the Division, both because it was his policy to give complete freedom of action to an appointee that he considered worthy of heading up a Division and because the wartime circumstances demanded immediate attention to a range of chemical problems. It was inevitable that rapid expansion of the Division should take place for a considerable time and yet provision of laboratory accommodation somehow did not rate top priority. For two years the Division operated from a nucleus in the CSIR Head Office building with temporary laboratory space in at least five other locations around Melbourne, before a building, still quite inadequate for the total staff and work even in 1942, was occupied at the Fishermen’s Bend site. Wark set out to establish a Division of Industrial Chemistry with a mixture of Sections some with disciplinary names, others with commodity or industry titles, namely, Physical Chemistry; Organic Chemistry; Biochemistry; Chemical Engineering; Mineral Chemistry; Cement, Ceramics and Refractories; Dairy Research; Physical Metallurgy (jointly with the Division of Aeronautics); and later Chemical Physics and Foundry Sands. The scientific output and reputation of the Division grew and recognition in international scientific and industrial circles was established early in the Division’s life. This was undoubtedly due to Wark’s acceptance and practice of Rivett’s philosophy, namely, that the selection of staff was of paramount importance and that top-quality scientific staff could be left to tackle the problems for which they were appointed without interference. Wark started the project of creating a national chemical laboratory with an outstanding academic background, an established reputation in the scientific principles of mineral flotation, a fairly widespread understanding of the chemical and mineral industries and virtually no experience in administering a large operation or handling a large staff. In spite of this latter deficiency and the problems arising from it, Wark created a research establishment of considerable stature. By 1958, the Division of Industrial Chemistry had developed to such an extent that the CSIRO Executive decided to reconstitute it as the Chemical Research Laboratories with Wark as the foundation Director and the constituent parts Divisions and Sections (later all became Divisions). This new group laboratory continued until 1970, but the nature of the administrative control changed in 1961, when Wark moved to the CSIRO Head Office as a member of the Executive. During his term on the Executive he saw many changes in its composition and served a period as Acting Chairman. Wark did not really enjoy his period on the Executive but went about the job with characteristic dedication. He saw the nature of the Executive change – in his opinion not for the better – and supported a return to the three-man Executive. At the age of 65 years he declined appointment for a second term and moved with relief to the post of Chairman of the new Commonwealth Advisory Committee on Advanced Education. Details of his contributions in the promotion of tertiary education are provided in the 1987 biographical memoir written by Lloyd Rees available by following the link in the Sources below. It was clear from Ian Wark’s schooldays that he was destined to make a significant contribution in whatever career he chose and that he had remarkable powers of concentration and a single-minded determination to succeed. Throughout life, he worked with great application and for long hours, but work was by no means his sole interest in life. He was fond of physical activity and had a better-than-average record in a number of sports. He played golf regularly and was an outstanding exponent of fly-fishing. It was typical of the man that he devised a trout fly which is still catalogued and sold as Dr Wark’s Special throughout the world. Wark had catholic tastes in music, literature and the arts and in latter years tried his hand at musical composition, a full-length play, a one-act thriller and some verse. His accomplishments in his three major fields – research, research administration and education – remain tremendous and stamp him as a man of considerable stature and influence. He was aware of his successes and derived pleasure from the awards that flowed to him from learned societies, academic institutions and governments. Throughout it all he maintained his principles, his humanity and his friendliness. As a person he was reserved to the point of being shy, particularly up to about 50 years of age, and at no stage did he become reconciled to clubs. On the other hand he enjoyed and relaxed in the company of people he knew well. To his staff he was always somewhat apart, even though he went to great lengths to establish democratic habits; only to some of his senior staff did he ever become close. These characteristics were probably ingrained from student and early post-graduate days in a generation where even senior lecturing staff of a university department addressed the professor by title throughout the whole of a career. Wark was always very sure of the opinions he had formed, either on issues of consequence or on people. There was rarely any doubt in his own mind about the quality of the opinion; there were few grey areas. This may have been a refreshing characteristic in many circumstances, but the inflexibility to change or compromise was a fault. Once he had made a judgement of a person, either as scientist or administrator, he could not be influenced. Moreover, he did not like being crossed in a major way and did not find it easy to overlook the matter afterwards. In fact, it sometimes led to misunderstood records of subsequent events or discussions. However, one must not allow this evidence of human fault to diminish the consequences of the attainments of the man. the creation of the Ian Wark Research Institute at the University of South Australia. Since his death and in recognition of his contribution to science and industry the Academy has inaugurated the Ian William Wark Medal and Lecture.